Centuries ago Native Americans discovered the beneficial properties of the Witch Hazel shrub (Hamamelis virginiana) and used its extracts in traditional medicine. The compounds in Witch Hazel help reduce itching and burning. Natural Menthol, whose sugar dates back thousands of years, is derived from peppermint (Menta piperita) and other mint oil. 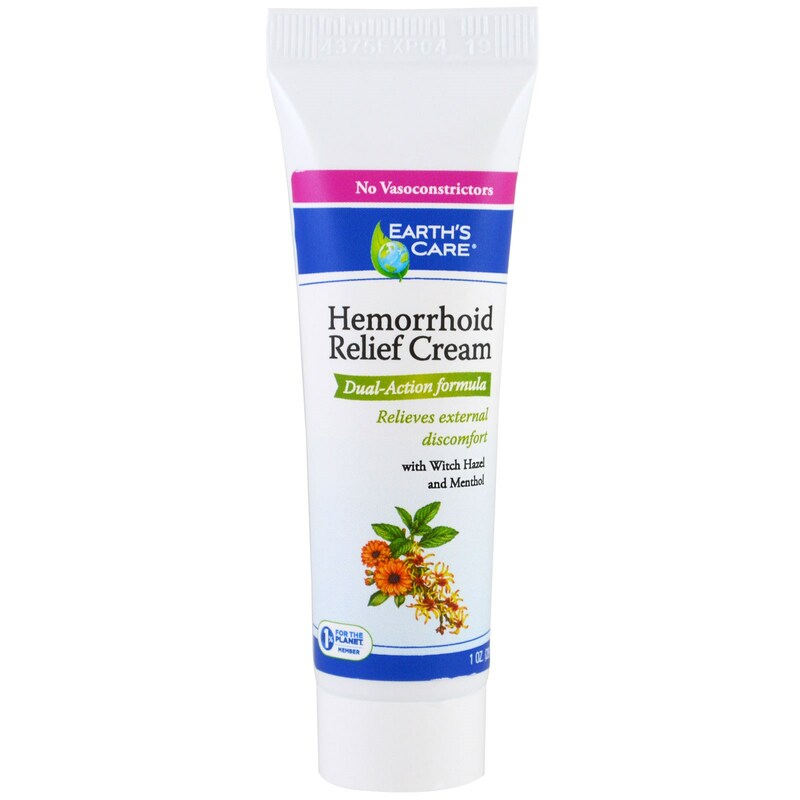 It works as a natural cooling and anti-itch agent by desensitizing sensory nerves in the skin. 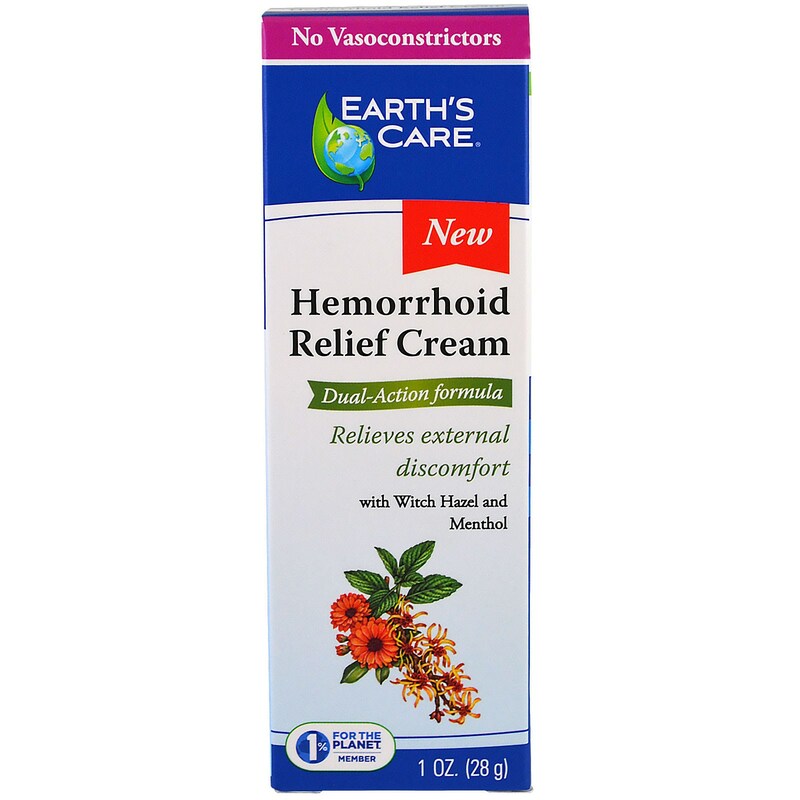 Earth's Care Hemorrhoid Relief Cream harnesses the power of two natural active ingredients- Witch Hazel and Menthol - to help relieve pain, alleviate itching as well as cool and protect irritated tissue. 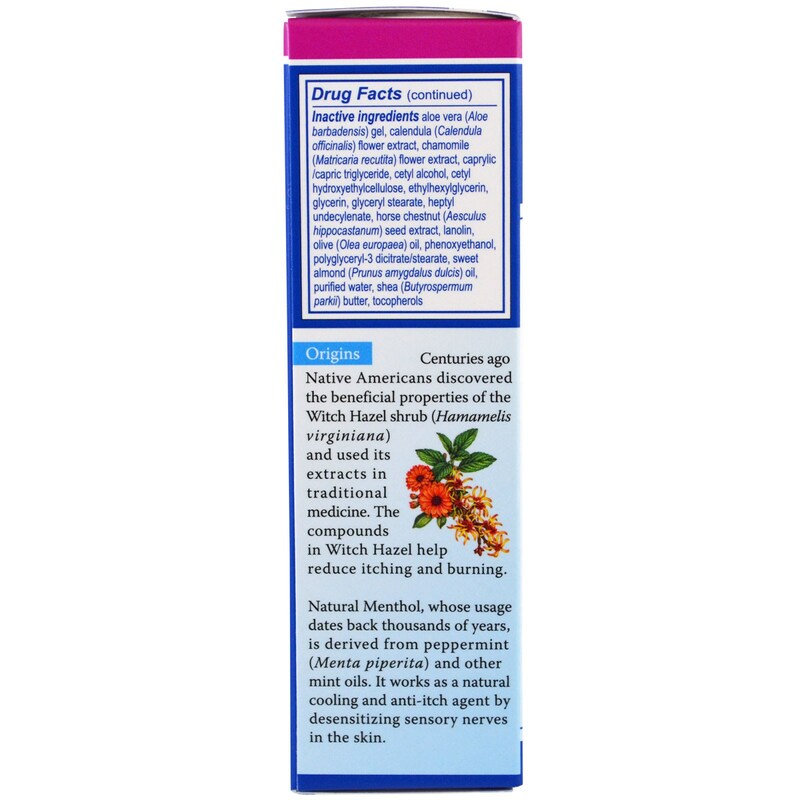 This proprietary blend includes other ingredients for nature such as Calendula, Horse Chestnut, Aloe Vera, and Chamomile. This formula is non-greasy and contains no vasoconstrictors, steroids, petrochemicals, parabens, or fragrances. Adults: When practical, cleanse the affected area with mild soap and warm water and rinse thoroughly. Gently dry by patting or drying with a tissue or soft cloth before apply cream. When first opening the tube, remove cap and lift foil safely seal from tube. Apply externally to the affected area up to 6 times daily. 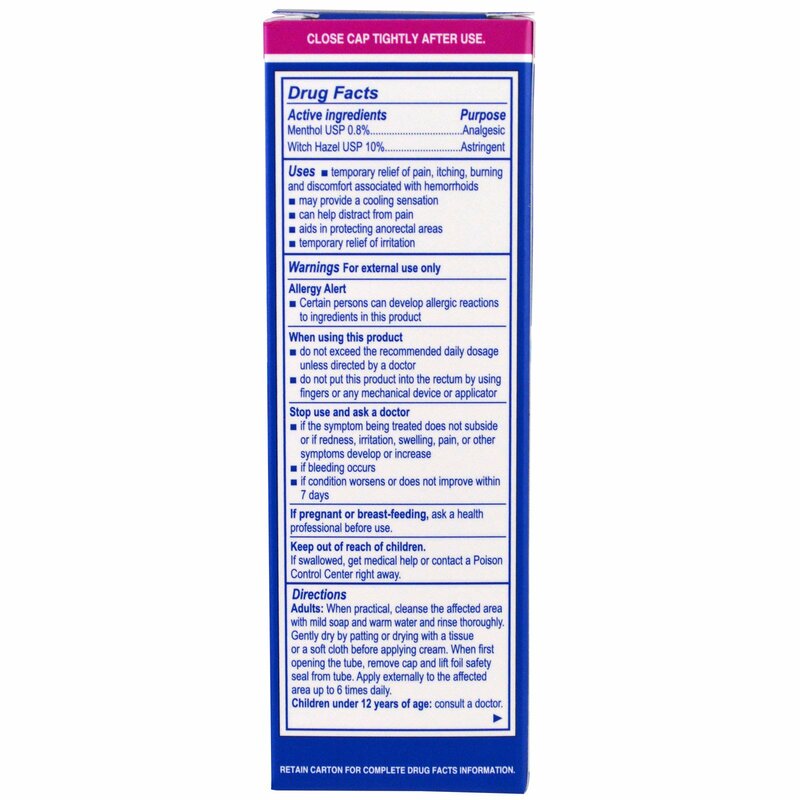 Retain carton for complete drug facts information.